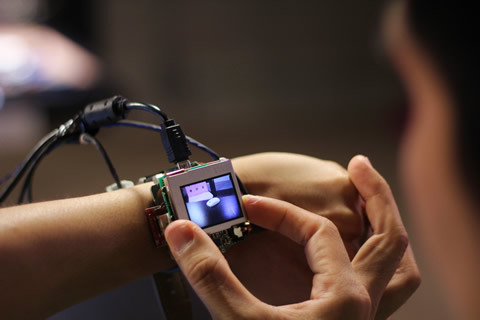 Smartwatches promise to bring enhanced convenience to common communication, creation and information retrieval tasks. Due to their prominent placement on the wrist, they must be small and otherwise unobtrusive, which limits the sophistication of interactions we can perform. This problem is particularly acute if the smartwatch relies on a touchscreen for input, as the display is small and our fingers are relatively large. We propose a complementary input approach: using the watch face as a multi-degree-of-freedom mechanical interface. This enables rich interaction without occluding the screen with fingers, and can operate in concert with touch interaction and physical buttons. 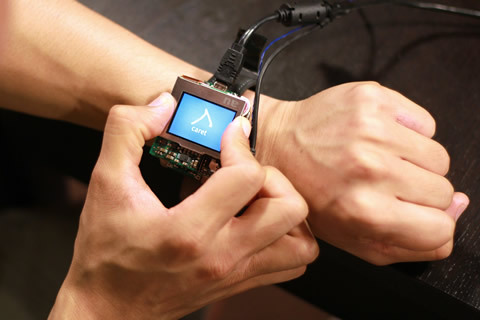 We built a proof-of-concept smartwatch that supports continuous 2D panning and twist, as well as binary tilt and click. 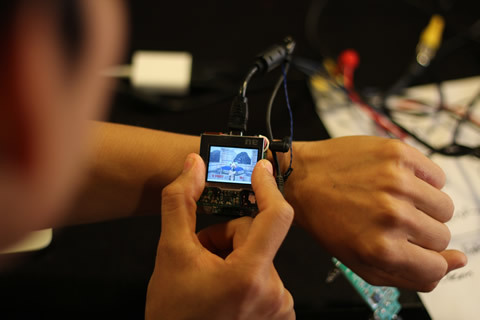 To illustrate the potential of our approach, we developed a series of example applications, many of which are cumbersome – or even impossible – on today’s smartwatch devices.